Traveling with this cool Traveler Bag is twice as much fun. It takes very easily everything you need for a weekend trip. She looks particularly cool in her sturdy, washed-out canvas and leather heels. The pocket has two extra compartments on the outside, which are closed with a zipper. 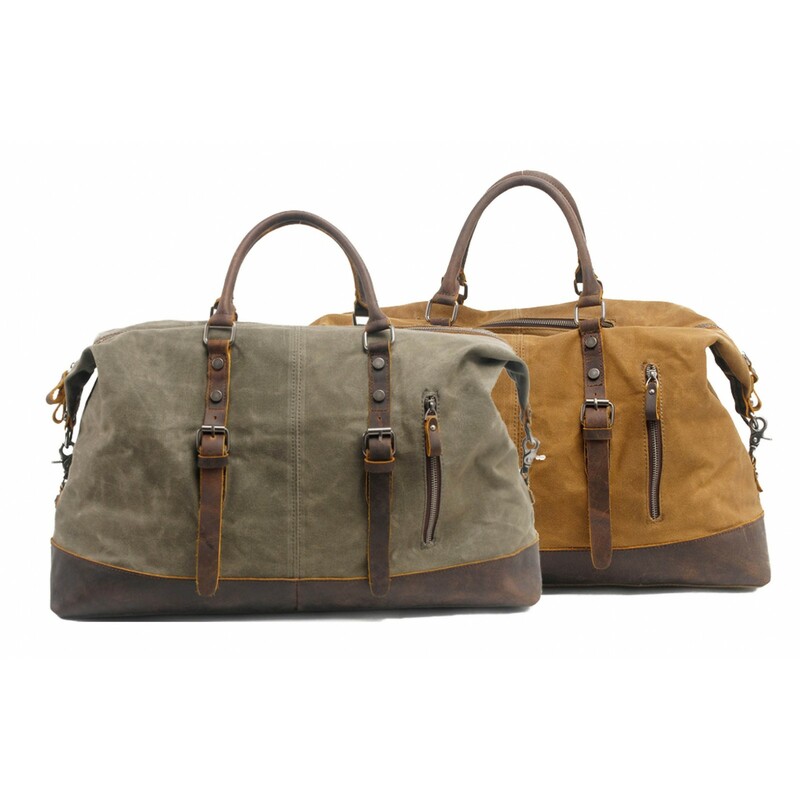 A wide strap can be attached comfortably or you carry the bag over the two great leather handles. There are also two carabiner hooks that can accommodate additional parts. Inside, the bag is covered with brown fabric and has two zippered compartments, a cell phone pocket and a key pocket.